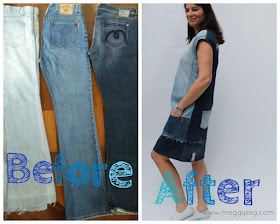 One of my favourite things is seeing the before and after pictures of a good refashion, so I've been gleefully watching the fabulous refashions rolling in on The Makery this month. So good! 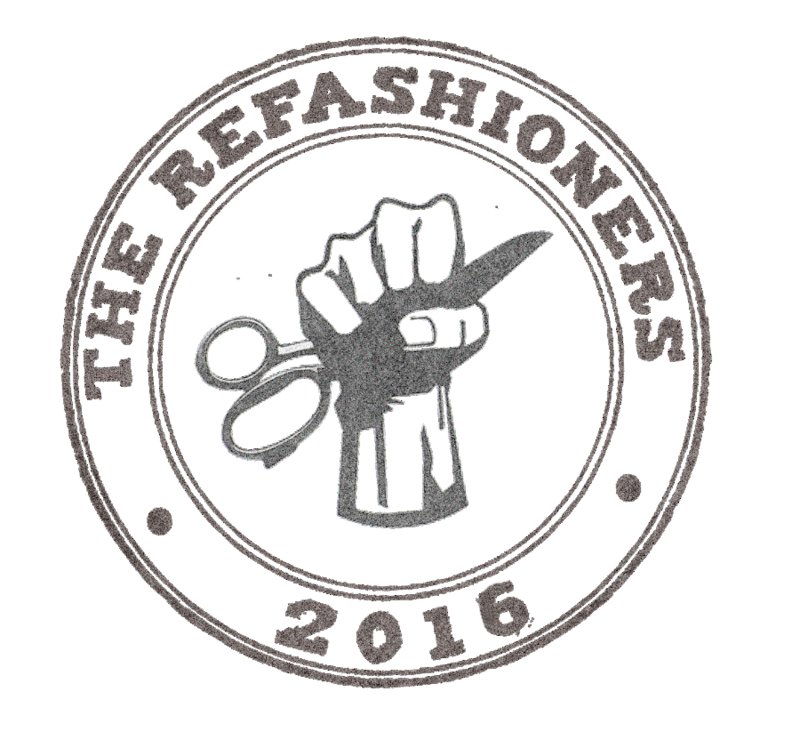 This year the Refashioners refashion must use jeans. I've already done a jeans refashion this year and have worn the dress so often, that I thought another denim dress was in order. 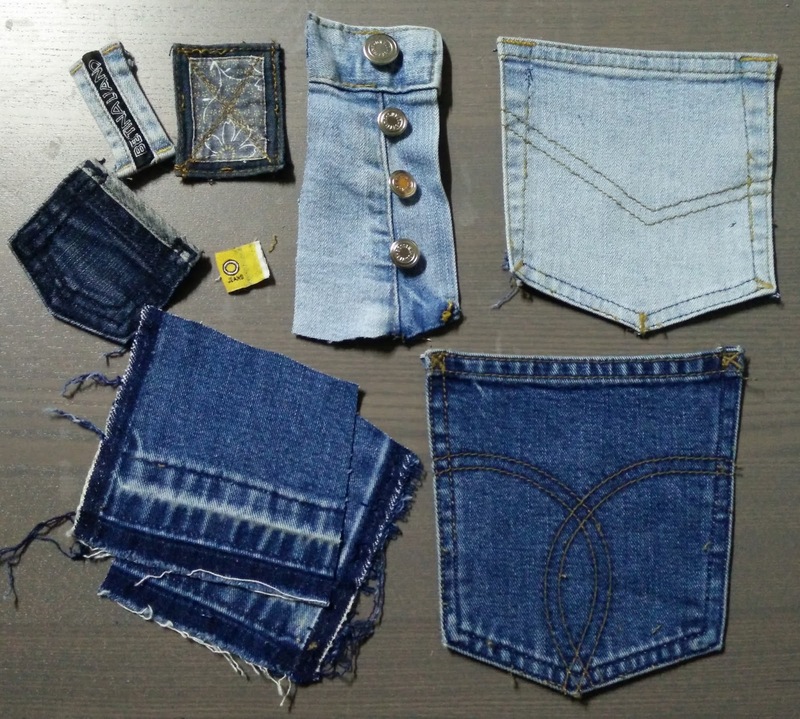 I raided my old jeans drawer (after I remembered I had an old jeans drawer) and found three pairs of my old jeans in different coloured blue denim. 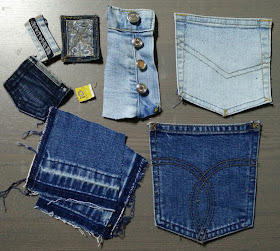 It took me an entire day to work out which colour to put where, how I was going to fit the pattern pieces on the jeans and then to cut out the dress. Annoyingly, when I opened up the side seams to get larger pieces of fabric, the jeans wouldn't lie flat due to the curved bootcut seams. I had to unpick and resew areas of the seams to get a flat piece for my large front and back pieces and even then I had to insert a couple of sneaky darts. Where I could I used features of the jeans to add some interest. 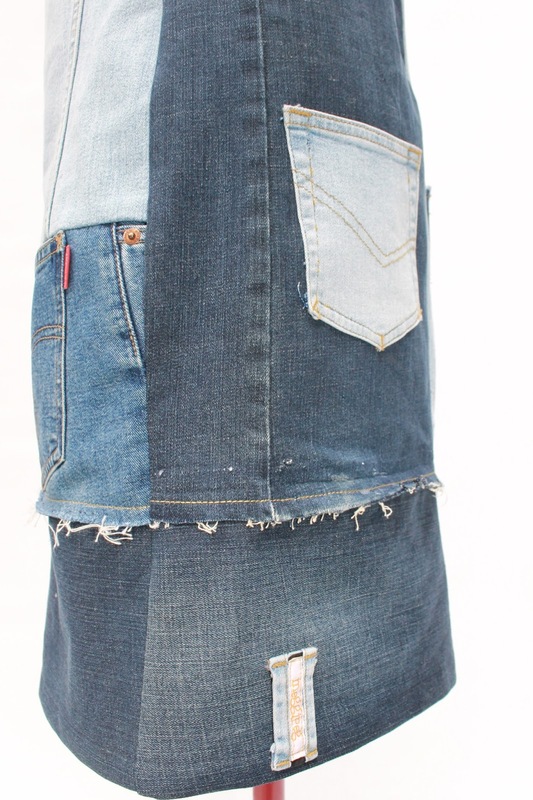 This was the original back pocket and side rivet. 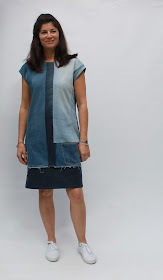 I cut the front and back dress pieces so the original seams were as symmetrical as possible up and over the shoulders. 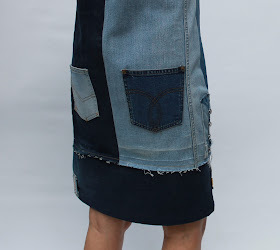 Where I could I used the original hemlines and frayed them above the hem band. Once the dress was sewn together, I harvested labels, pockets and buttons from the jeans (my unpicker was working overtime) and sewed them to the dress. One of the labels got an upgrade! 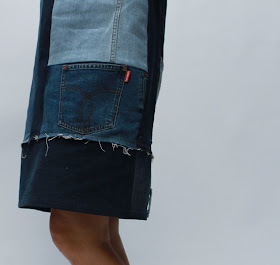 A button fly and coin pocket on one side. 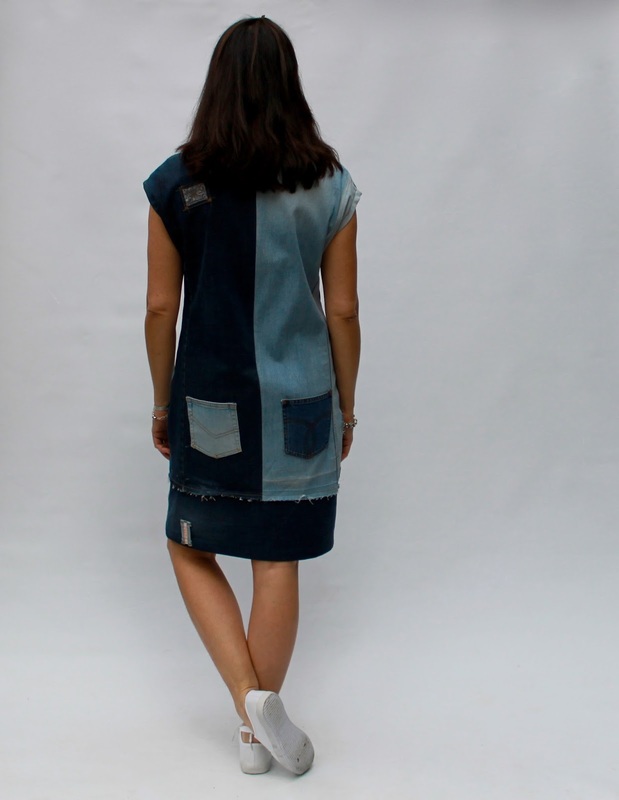 A label overstitched to the back shoulder. I am thrilled with the end result of this dress. 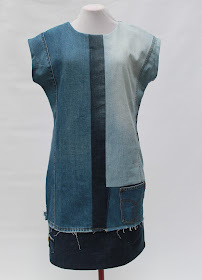 I am hoping that I've retained the simple and classic look of the Mondrian design and that the added jeans features add a bit of refashiony coolness. Whatever, I'm going be wearing this a lot and washing it often to get more fraying and fading happening. 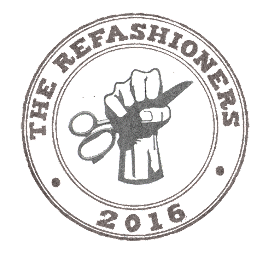 Thank you to Portia for the fantastic Refashioners series and competition and to the celebrity refashioners for the sewing eye candy and inspiration. Absolutely fabulous! Oh, that reminds me - where's the bolly darling? I also think about sewing when drifting off to sleep, but if I get a really good idea (like this one) I wouldn't sleep at all! Thank you. I wasn't sure if it would be too much with the details, but I couldn't resist! It's a rare bit of sewing that isn't a joy for me. Thank you! I don't think I've ever had a dream about sewing. That is now top of my to do list! So creative ! I love all the little details. This is really amazing! Just Wow! 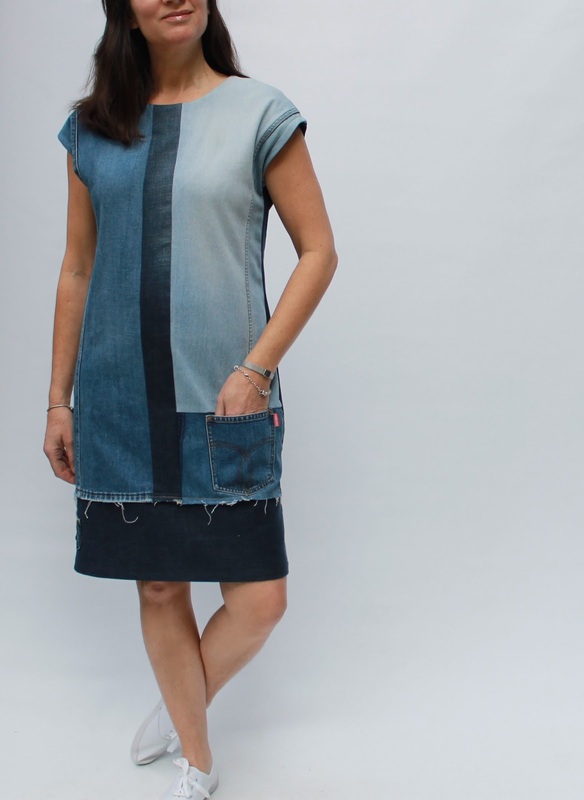 I have the Charlotte pattern sitting waiting for me to find some coordinating fabrics, but this really takes the cake! 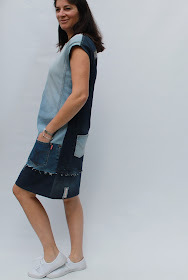 I was waiting for fabrics for this pattern too, then The Refashioners came along and suddenly I knew what to do! You are so great at this! Another amazing refashion and I love all of the details you added to the dress. I LOVE this dress! Excellent! I also think about sewing as I drift off to sleep. It looks like it's not just me that does that. It's a great de-stressor! Very cool. 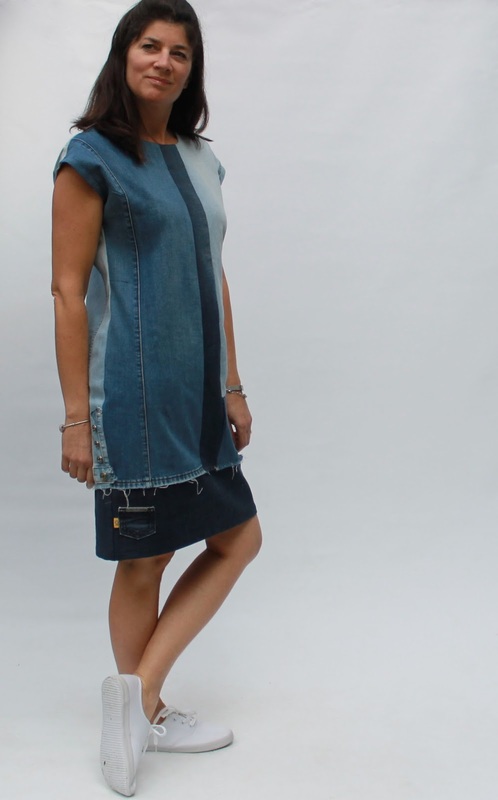 Love a Mondrian dress and made of jeans, fabulous! Meg, this is utterly fabulous! I can never get past how clever people are who refashion. It's just not the way my brain works. But clearly yours does. Fantastic! 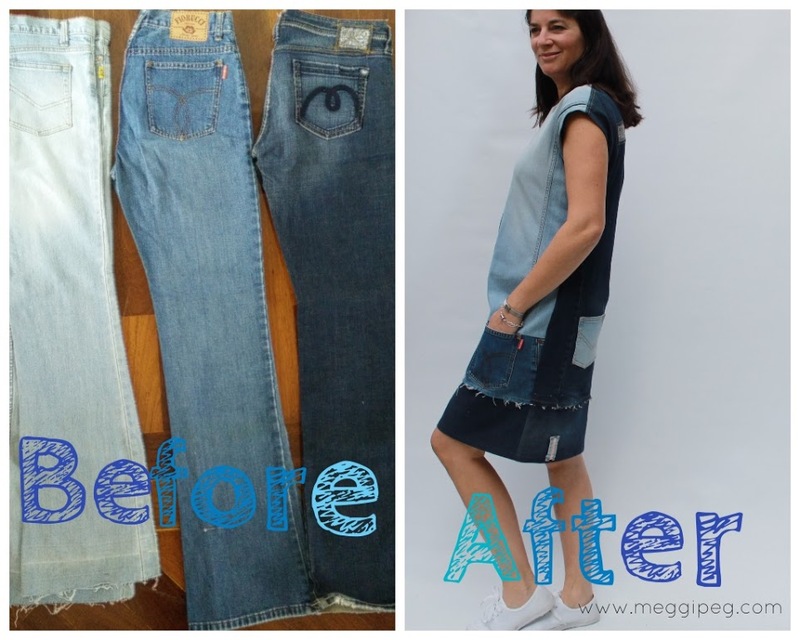 Fabulous refashion. I love the Mondrian look. Love it! Although I had to smile about having to unpick seams (which presumably you would have preferred not to unpick) to get the fabric to lie flat. It's terrible when a simple idea suddenly becomes complex. Good on you for seeing it through! I love this dress! Classic Mondrian plus just enough whimsical detail to keep things interesting. Thank you very much for sharing. There is a wonderful essay writing service, which accomplish papers for students online.